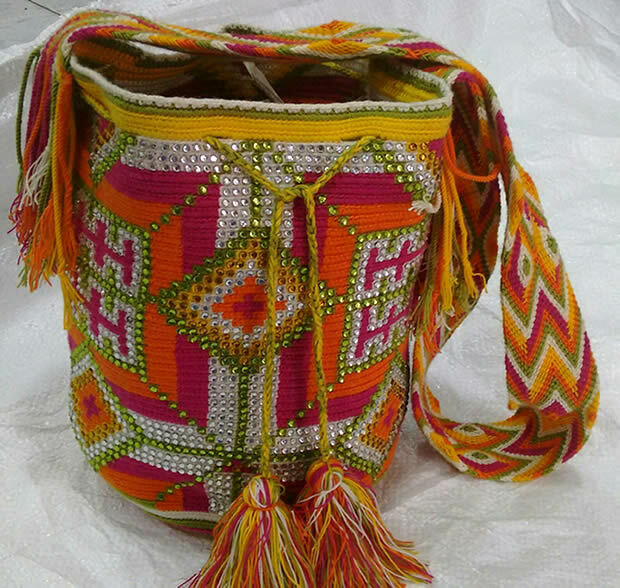 Original Wayuu Mochila. Handmade, 100% cotton thread, approximate dimesions: diameter 23cm, height 28 to 30cm, strap 120 cm. IMPORTANT: Design and colors may slightly vary, handmade product. Dispatch time for retail orders: 1 to 2 weeks. View large picture.